Board a flying Triceratops at Disney's Animal Kingdom. 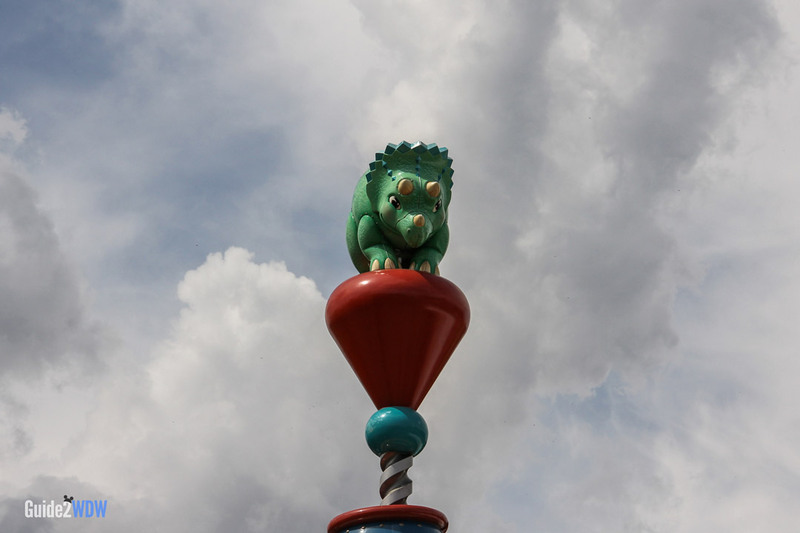 Part of Chester and Hester’s Dino-Rama at Animal Kingdom, TriceraTop Spin offers Disney World guests a chance to board an airborne triceratops. Each flying triceratops holds four people and has the ability to move up and down and tilt while in flight. This ride is an aerial carousel, very similar to other Disney attractions such as Dumbo The Flying Elephant and The Magic Carpets of Aladdin at Magic Kingdom. 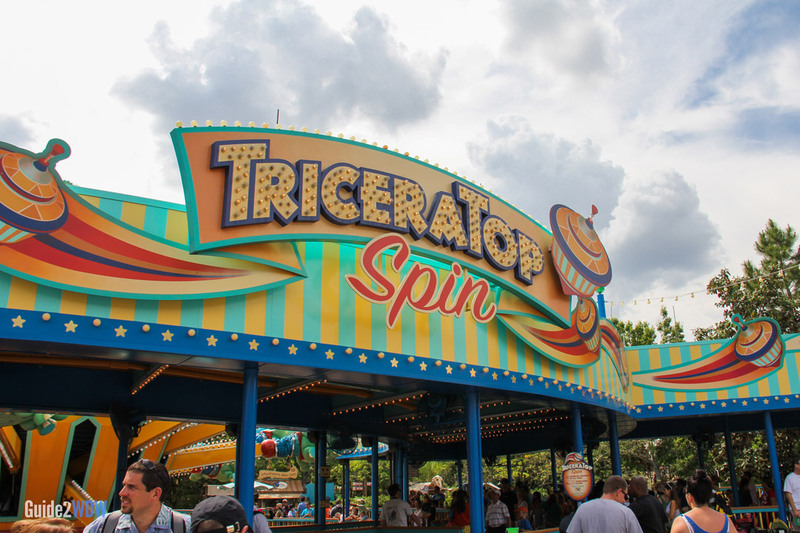 TriceraTop Spin will be best appreciated by younger riders and those looking for a more relaxing ride. Each Triceratops has two joysticks, one in the front and one in the back. The joystick in the front controls forward and backward movement, while the back joystick controls the height of the Triceratops. If you’re a fan of Aerial Carousels, be sure to stop by Magic Kingdom while you’re visiting Disney World.